By August 1977, 34-year-old Barry Manilow had five gold albums (they’ve all gone platinum by now), a Tony, an adorable beagle named Bagel, and “a ridiculous Beverly Hills palazzo.” One thing he didn’t have? Love. 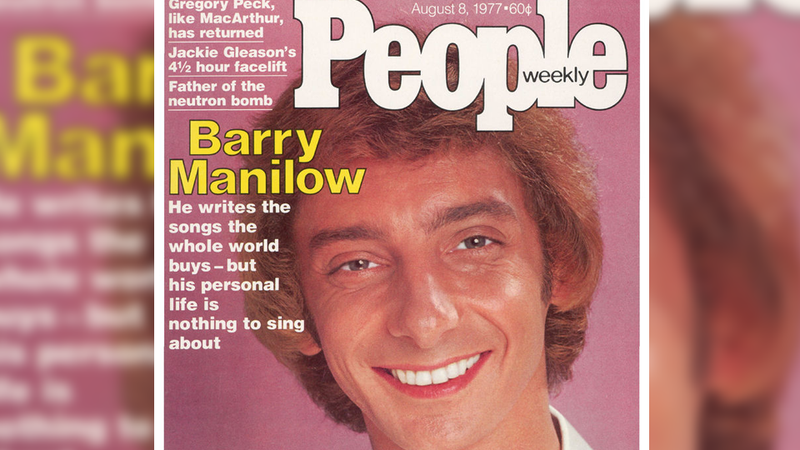 Manilow shot the world a killer smile on the cover, but the profile is dripping with melancholy to the point that it’s tough to read. Just check out the lede! He writes the songs the whole world sings, but Barry Manilow still feels sort of miserable. And the piece doesn’t offer much hope for the future, either. It’s just pitiful anecdote after pitiful anecdote. They even managed to make the story of his Tony win a tearjerker! [While recording music for commercials] he met a then-unknown Melissa Manchester, whom he now counts as his only real pal in the business. His only pal?! Bette Midler was the only person who sent him a congratulatory telegram and she’s not even his pal?! Oh, Barry. I wish I could give 1977 you a big hug. The profile ends in the way these kinds of light, breezy profiles tend to do, with the rich and famous artist recognizing the impermanence of fame, and that they would be fine if it all went away tomorrow. 38 years later, we know that it didn’t, but we do know that he’s made some more friends .